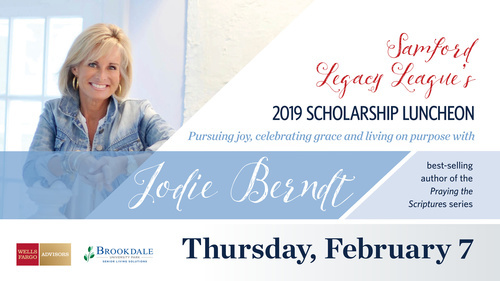 Mrs. Berndt will share biblical insights and real-life humor, encouraging attendees to “pursue joy, celebrate grace and live on purpose.” Premium sponsors for the Scholarship Luncheon are Brookdale University Park and Wells Fargo Advisors. The event will take place at a country club in Vestavia and begins at 11:30 a.m. Additional information may be found at samford.edu/legacyleague. Reservations (required) are $50, $25 of which is tax deductible. More information about Mrs. Berndt is available at jodieberndt.com, on Facebook and at @JodieBerndtWrites. Samford’s Legacy League is a volunteer organization with over 750 members. 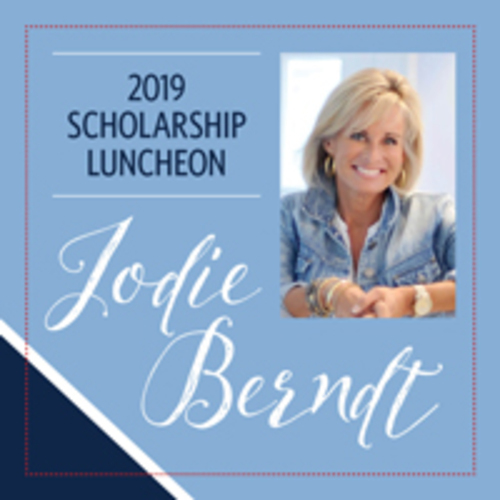 The annual luncheon will provide life-changing scholarships for students with significant financial needs and challenging circumstances. $50, $25 of which is tax deductible.